The perfect way to dress up any room is with a feature wall! Choose one wall in your room to be the standout with some type of stylish design. Think wallpaper, pop of color, or even the latest trend: shiplap! This shiplap wall behind the master bed gives a focal point to the room and adds a touch of extreme style. Bonus: since it’s only one wall it’s a cost effective design! Layered art is one of the unique ways to switch up how you think about your walls! The layering of several pieces gives dimension, interest and an opportunity to let your art exist together in a new way. This style is best utilized with an entryway console or a media unit, where you can hang some of the art of the wall and let others rest on the furniture while mixed in with accessories. Michael Copeland with DTZ, commercial real estate adviser, represented both Trumark Commercial and StarJ Partners in the financial transaction back in April. Copeland, who has also been retained by StarJ Partners as the leasing broker for the space, suggests that the area of Blackhawk in Danville is an especially attractive location and could have contributed to the significant sales value of the building. The space is located at the corner of Crow Canyon Road and Camino Tassajara. It is also located adjacent to Blackhawk Plaza, a prominent retail center home to several restaurants and retail stores. At the time of sale several weeks ago, the Class A building was 91 percent leased to multiple prominent business tenants such as Chase Bank, Skyland Properties, Trumark Insurance and Financial and Tucker Associates, among several others. Trumark Homes once again lets you keep Pace with the upward Momentum of the real estate market by building new homes in Milpitas, California. The sentence is not only an amusing pun on the name of Trumark’s Momentum at Pace housing community. It’s also true. The minute you walk into your house, you’ll welcome the returns on your housing investment such as a two-car garage, an open floor plan designed for entertaining, granite countertops for durability, and a tankless water heater for energy savings. Venture outside your home and you’ll realize that the pluses of your purchase extend to the surrounding community. The area boasts nine award-winning elementary schools, two middle schools, and two high schools. There’s also an Adult Education Program if you need to brush up on a subject or two. These options are managed by the Milpitas Unified School District, which has an Academic Performance Index (API) in the high 850s out of a possible 1,000 points. That score has been going up consistently every year. For 2013, Sinnot and Curtner Elementary Schools showed even higher scores of 927 and 922 respectively. Two projects recently rolling in S.F. : Rowan at 346 Potrero Ave in the Inner Mission and Knox at 645 Texas in the Dogpatch. 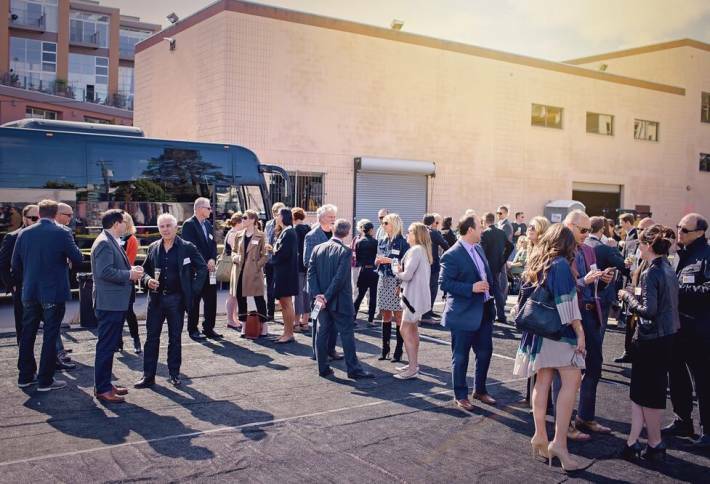 Here’s a cadre of real estate pros touring the groundbreaking sites via limo bus. The Trumark Urban projects represent an investment of $100M and will create over 400 new jobs in the city while dumping more than 110 affordable homes through fees and on-site development. Expect a late 2016 opening. Trumark, which has been shedding assets as of late, chose to bank on these two. Like at 2121 Webster, Ross Perot Jr. is an investor. 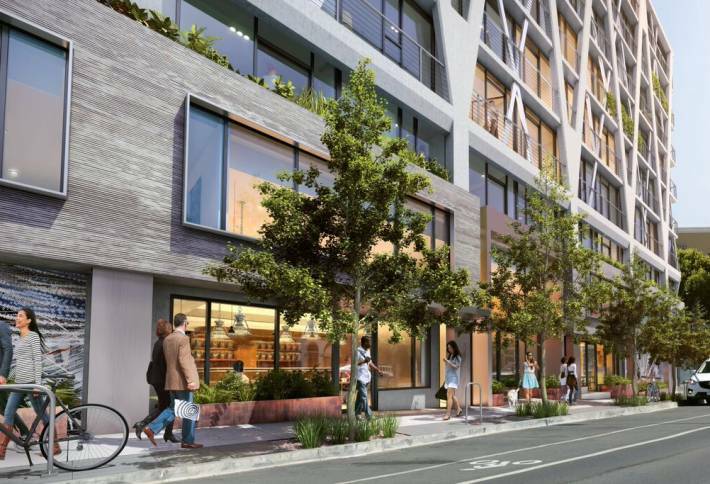 Glenn Rescalvo of Handel Architects designed the 70-unit Rowan, which will offer one-, two- and three-bedroom residences and a huge 3,200 SF roof terrace with gas barbecues and vertical gardens. Also expect a Zen Garden, sculptural fountain and wood deck. Knox, designed by BDE Architects (pictured), will have 91 units, including big family-friendly three-bedroom units. Also expect locally sourced artwork, including a water feature created from a reclaimed bridge, inside. If you are tying to find a full of fun housewarming gift for your friends that just moved into that beyond gorgeous new pad, this set is exactly what you are looking for! A bocce ball set like this is both thoughtful and a great gift for playing games on summer days in their yards or community parks. Plus, you’ll likely get to benefit from this gift and play with them!